Red and orange berries are creating bursts of colour around the pond and providing a feast for hungry birds. 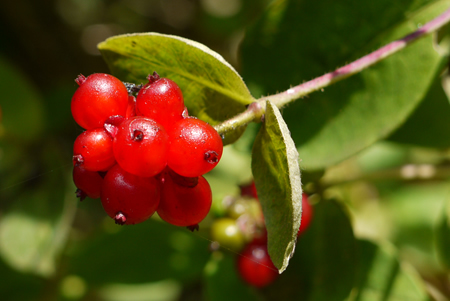 The fragrant flowers of honeysuckle have been replaced by shiny, red berries which are particularly attractive to both warblers and thrushes. 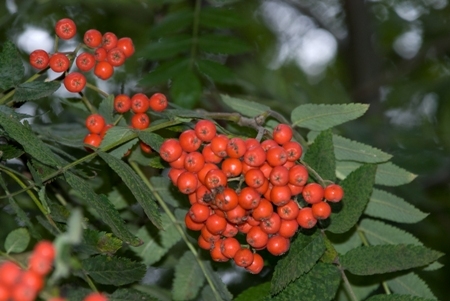 The slender branches of the many rowan trees in the woodland surrounding the pond are currently weighed down with clusters of orange-red berries, popular with blackbirds and mistle thrushes. The rowan’s green leaves will soon be changing from green to bright red and yellow as we move towards autumn. There are still some colourful wildflowers on display; the striking spikes of Rosebay willowherb can be seen alongside the footpath by Chestnut Grove. 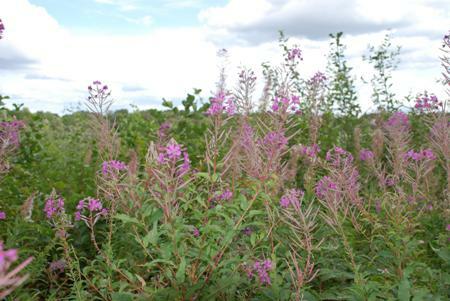 The pretty, pink flowers of Rosebay willowherb provide nectar for honey bees and food for the larvae of the elephant hawk-moth. It seems to thrive on burnt or disturbed ground and can form large colonies by means of underground rhizomes, with just one plant forming an extensive patch. A similar looking plant is Purple loosestrife, presently to be found growing in large clumps on the edges of the pond and around the reedbeds by the railway station. A common perennial that thrives in damp ditches and meadows, as well as by pond and lake sides, it often grows alongside the unrelated Yellow loosestrife. The tall stems of purple flowers can grow to nearly 120cm and are a nectar source for a variety of bees, butterflies and moths. Are you a budding amateur photographer? Are you inspired by the wildlife of Hampshire and the Island? Do you have an eye for the landscapes of our region and for people enjoying the great outdoors? If so, here’s your chance to make yourself known to the Trust. The competition is open to members and non-members who are not professional photographers. The entry fee is £2 for members, £3 for non-members and is per photo. You can enter as many times as you like. a category for 16-year olds and under. You can send prints or digital images. The closing date is 31st August 2009 and winners will appear in the November 2009 issue of Natural World. Hopefully Fleet Pond will inspire some memorable shots! In order to establish if our habitat management at Fleet Pond is working, we commission surveys to be carried by local botanists and entomologists. While we aim to encourage lots of different groups of wildlife across the site, plants and insects are very good indicator groups, giving a good overall picture of the state of a habitat. Our most recent results have shown some very encouraging results, showing that our current management techniques are working well. In the Wet Heath, the summer grazing is working wonders with many botanical species, such as Heath Spotted Orchid, flourishing. 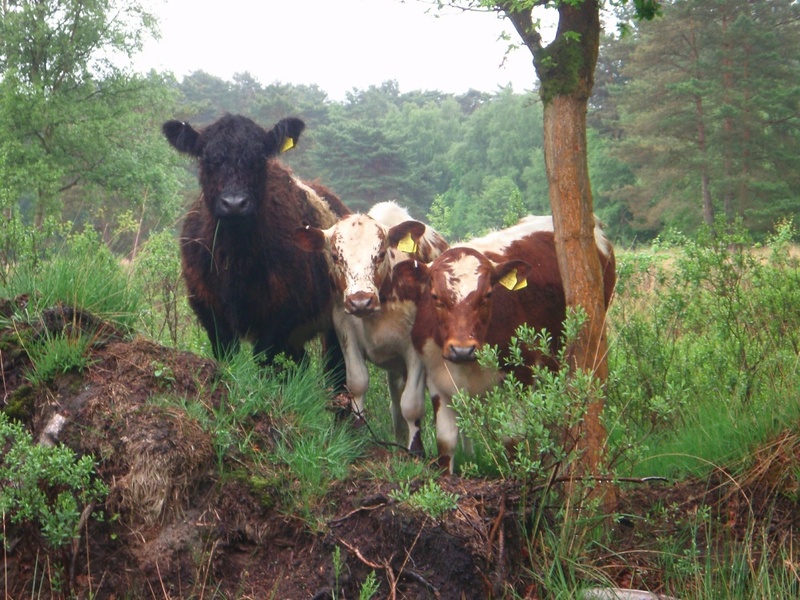 The grazing works by suppressing unwanted scrub and grass to allow the heathland plants to flourish in a more open sward. Our entomologist’s results also show the presence of 3 Red Data Book insect species and 10 Nationally Rare species. (The Red Data Book lists all of Britain’s most endangered and rare species.) A similar survey in 2003 showed the presence of 67 species of insect. The total in 2008 had risen to 141 species. 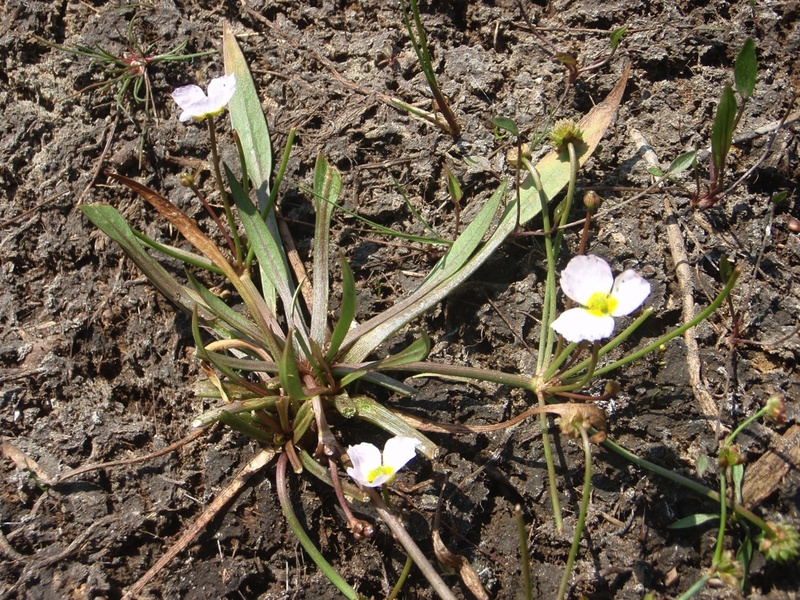 The story is similar in Coldstream Marsh with a number of important species being found on the scraped areas, such as Pillwort, a small fern, and Lesser Water Plantain, both Red Data Book species. 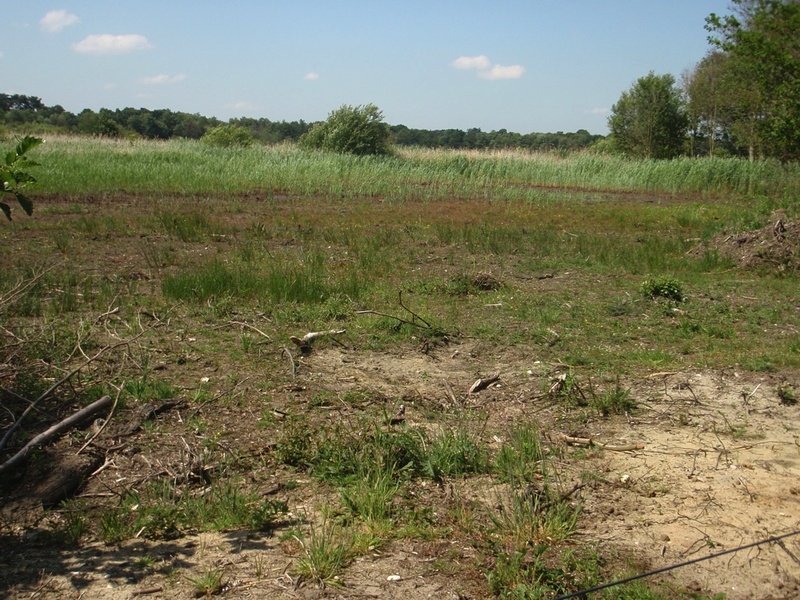 Clearance of trees and scraping areas of earth to expose the seedbed underneath, are management techniques employed at Fleet Pond to restore the nationally rare habitat of fen, or more commonly known at the Pond as Marsh. Although the numbers of insects and plants recorded in the Marshes are rising all the time, the numbers are still below what they once were before the woodland encroached on the marshes. Therefore it is essential that we continue with this work to further improve this very rare habitat. A total of 386 insect species were recorded last summer from the Dry Heath, the Wet Heath, Wet Woodlands and Marshes, including 6 Red Data Book species and 30 Nationally Scarce insects. Comment: if you are interested in finding more out about insects a very good starting point is the web site of The Amateur Entomologist’s Society. Fleet Pond Society organises and runs volunteer events at the nature reserve on the second Sunday of each month from September to June. Here is the task list for 2009-10. If you are unfamiliar with the locations, please see the map in the blog ‘About’ page above. Removal of regenerating scrub and saplings. Stumps to be treated with approved herbicide. Removal of some trees from the woodland edge to enhance wetland habitat. Coppicing of the woodland edge. Stumps to be treated with approved herbicide. Clearance of Alder and Willow and regenerating scrub to increase the reedbed and marsh area, plus coppicing of the woodland edge. Stumps to be treated with approved herbicide, but only if far enough away from the waters edge. Further clearance of trees in the fringing woodland to enhance the wetland habitat. Create coppiced edge to the woodland where possible. Stumps to be treated with approved herbicide. The tasks for April to June will be repairs and enhancements to footpaths and stream bank repairs. All tasks start from the Countryside Workshop, Old Pump House Close (next to 65 Kenilworth Road), Fleet at 9.30 am. We are always keen to receive new volunteers, including students on the Duke of Edinburgh and Trident schemes! Please give Colin Gray a call on 01252 616183 if you require further information. Examples of previous volunteer events can be found by using the blog search facility on the top rhs. 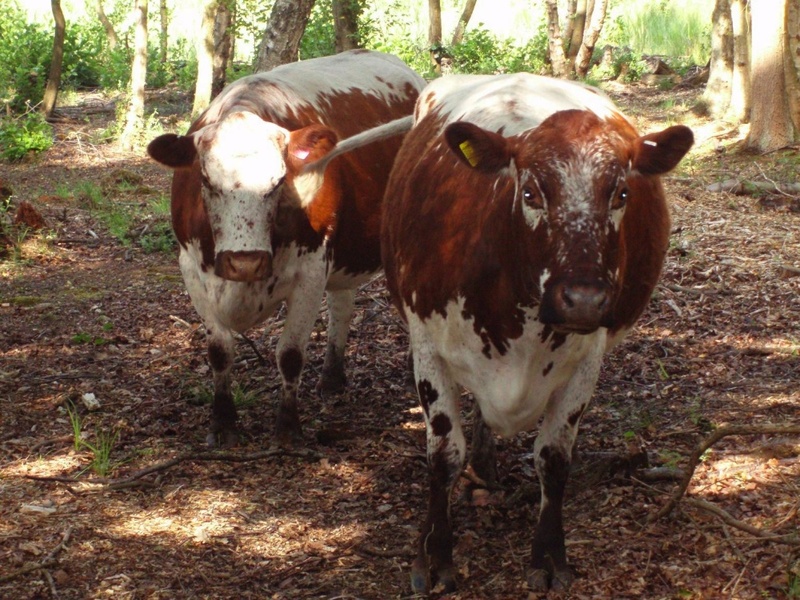 Come And See The Rare Breed Cattle At Fleet Pond! Welcome back to our rare breed cattle at Fleet Pond, they are Irish Moileds and Belted Galloways and are kindly on loan from Miller’s Ark Animals. Lynx, Lego and Lucas are three young bullocks who are now resident at Wood Lane Heath for the summer. No frolicking romantic couple like last year’s Murray and Jessie! 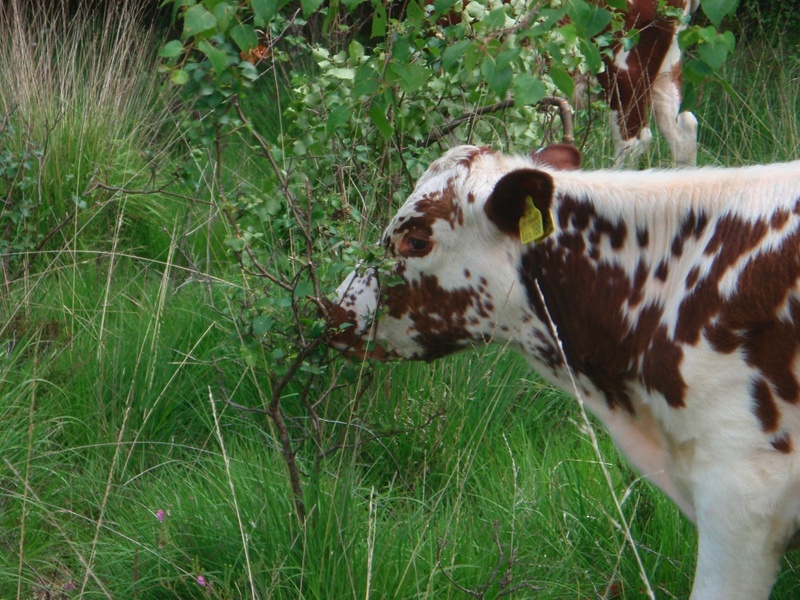 Alexandra and Hyacinth are doing a sterling job in Coldstream Marsh, eating the scrub and young tree growth. This means that the view to the pond will be maintained and will save hours of labour in keeping the undergrowth down in the Marsh. Hopefully they will stay away from any rare wild flowers that may pop their heads up after the scrap last year. Please do not feed the cattle, although they are not nearly as demanding or plaintive as the ponies were! The grazing scheme has been a great success over the past few years and it is always a joy to see our summer visitors. Update: The cattle left Fleet Pond in mid-September to return to their owners. Picture credits: Joanna Lawrence (top) and Vicki Jull (bottom). Due to its habit of frequenting hedgerows, this butterfly was, at one time, known as the “Hedge Brown”. In even earlier years, it was called “Hedge Eye” and also “Small Meadow Brown”. Depending upon the weather, the first butterflies usually begin to emerge from their chrysalides during mid-July, but August is the month when I have seen the greatest number. They are fairly common and the best place for seeing them at Fleet Pond Nature Reserve is probably between the Dry Heath and the Railway. Ragwort, Fleabane, Marjoram and Buddleia are good nectar sources, as this butterfly’s proboscis is fairly short, but its favourite is probably Bramble. The Gatekeeper is not difficult to identify. 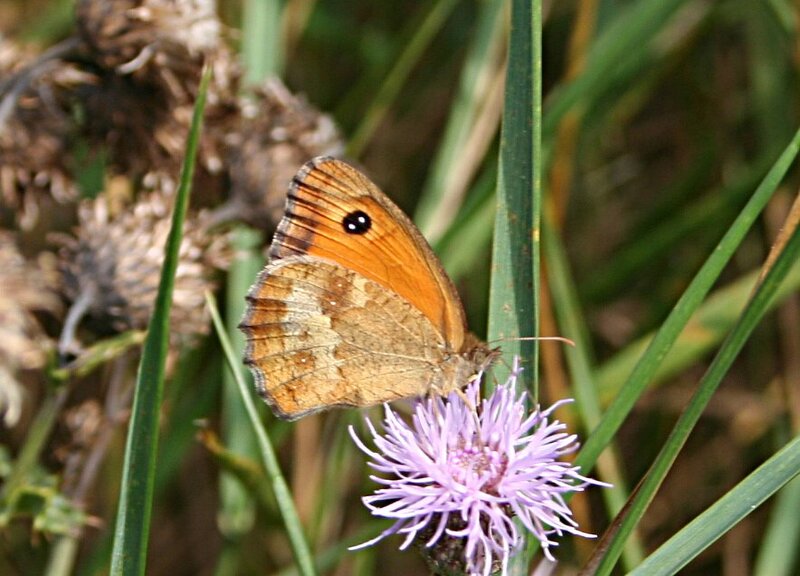 Smaller than the Meadow Brown, its uppersides are orange, with dark brown borders and dark “eye” spots on each wing. Males also have brown bands of scent scales across the orange patches on their forewings. The underside orange forewings have “eye” spots and brown borders, with hindwings being varying shades of brown. The pale eggs, which are laid singly during August among loose grasses and in shady places under shrub canopies, gradually become mottled and then brown. Light brown caterpillars, with darker stripes, emerge after about three weeks and, after eating part of their eggshells, they nibble tender shoots of Common Couch or other grasses. They hibernate after making the first of four skin changes and resume eating in the spring. The tender grass tips are nibbled at dusk so, if you want to see them, a torch may be needed. They pupate during June. If you see Gatekeepers well into September, completion of their life cycle may have been delayed by a wet summer! Apologies, I’m a little late in putting this one up! If you have seen Small Tortoiseshell butterflies earlier in the year, they will have been the ones that have flown after winter hibernation and may have, therefore, been damaged and rather less colourful that those that you see in July. The females will have laid 60 to 100 eggs on the tender leaves of Stinging Nettles, growing in sunny spots, early in May. These will have hatched out after about 10 to 14 days and you may have seen the dense silken webs that the black and yellow caterpillars spun around the leaf tips to live communally until they made their last skin change. Some of the beautiful gold or brown chrysalides have been found as far as 60 yards away from the nearest nettles, suspended from other plants or materials. A few butterflies from this generation may emerge towards the end of June, but July is the month to watch out for them, You may come across the Small Tortoiseshell almost anywhere, with so many patches of Stinging Nettles being left in sunny spots by the “conservation-minded”. Their upper wings have a mixture of orange, yellow and black, with dark edges usually showing some blue. The underside forewings are lighter than the hindwings, which provide a darker camouflage when the butterflies are resting with their wings closed. When open, their wingspan is about 45 mm (1.8 inches). You may see them posing with their wings open, whilst nectaring on Devil’s Bit Scabious, Field Scabious, Small Scabious or other flowers. The over-wintering generation, which flies from late August onwards, often nectar on Hemp Agrimony, Buddleia, Michaelmas Daisies and Sedum. In Scotland, in the past, the Small Tortoiseshell has been known as the “Devil’s butterfly” or the “Witches butterfly”. 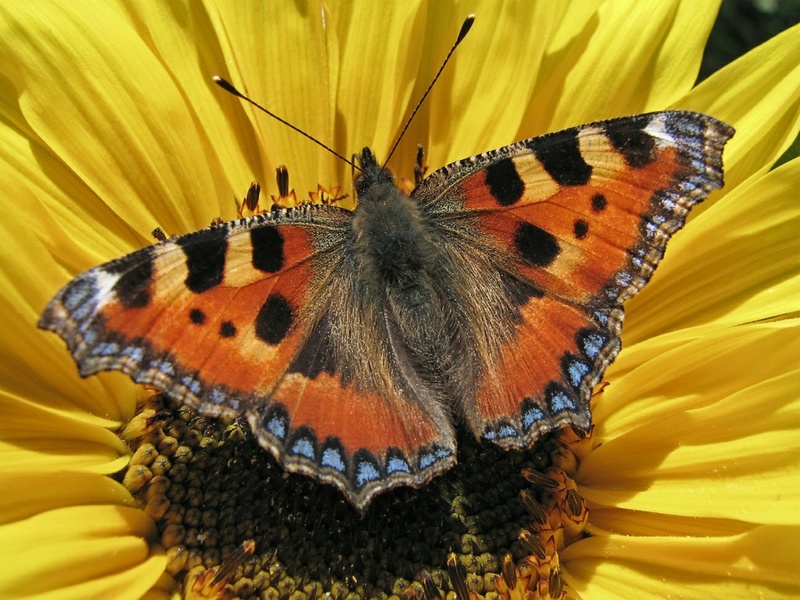 People in other parts of the British Isles have called them the “Tortoiseshell fly” or the “Nettle Tortoiseshell”. Small Tortoiseshell butterflies were once very common, but I have seen very few in the last few years. The reason for this is that a parasitic fly called Sturmia bella lays its eggs on nettle leaves and, unwittingly, these are consumed by the caterpillars, which are then eaten by the emerging fly grubs at this or the chrysalis stage. Butterfly Conservation and Oxford University have started a research project to investigate whether Sturmia bella is the main reason for the butterfly’s decline. Initial results have revealed that, at least in the southern half of the UK, 60% of the caterpillars were killed wherever it was present. You are currently browsing the Fleet Pond Blog blog archives for August, 2009.